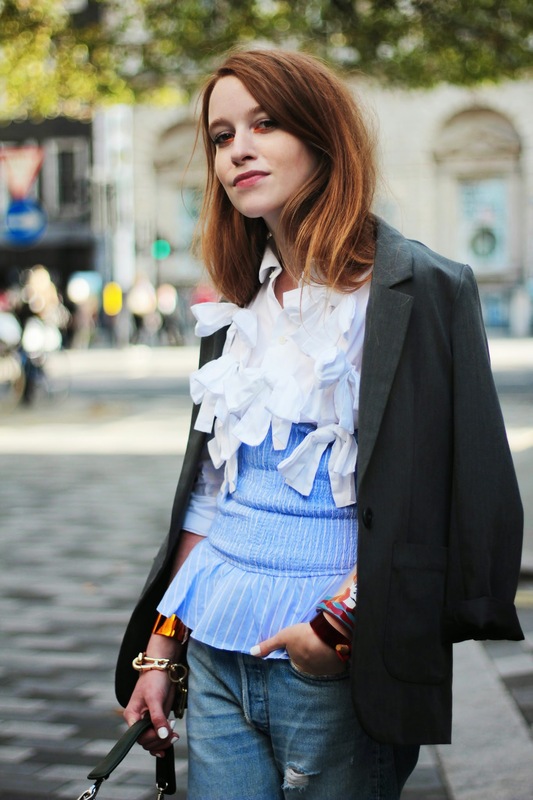 feedyourfashionanimal: OH YOU LUCKY FRINGES! I've missed you guys already, hope you've been checking my daily Instragram and Facebook page updates and if not just wanted to remind you that I had my camera repaired that's why the new outfit post from London fashion week SS 15 appears here on the blog only now, kill me, I know, I am SO SORRY! 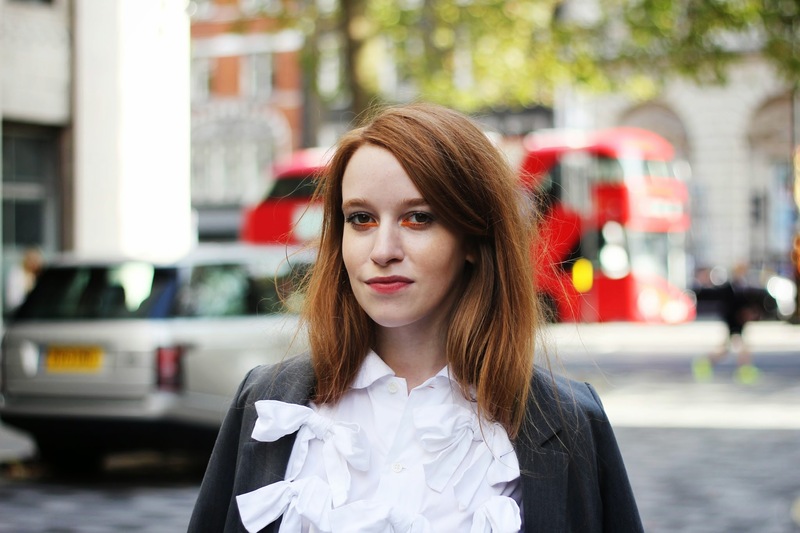 I'd love to share with you my full LFW day two outfit. This time I knew exactly that I am going to wear nothing but boyfriend jeans, and as you probably noticed - I did! BUT! Nothing could attract more attention to the Levi's vintage boyfriend (or BOY, I am not sure yet!) 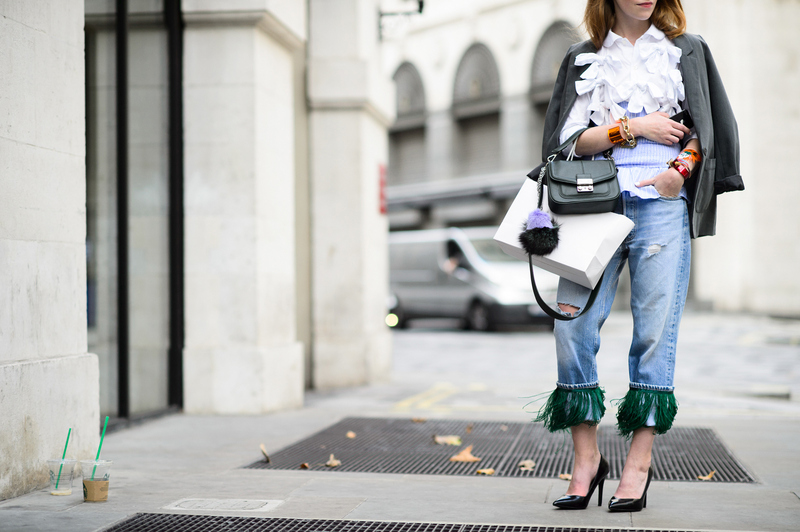 jeans like green DIY fringes, don't you agree? 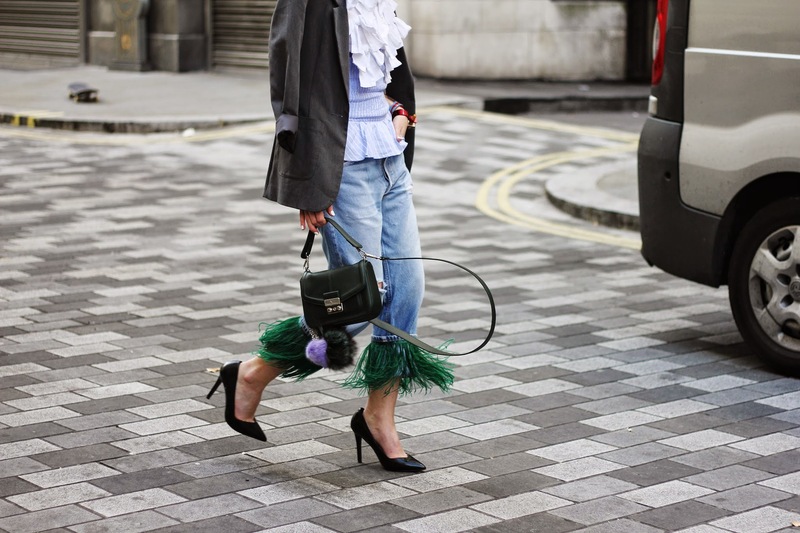 It looks playful when you walk or run from show to show and makes this street style game worth playing! I chose green to make a perfect match with my beloved dark emerald mini-hand bag and orange accessories like Cooee Design and Bimba y Lola orange cuffs, Moxham gold plated bracelet and orange eyeliner by Mac. Finishing-off with my quite ginger hair too! It's all about maximalism, but not in overdressed kind a way! I think they key thing when picking your fashion week outfit are details and how you can play around with them in terms of making your look unique and complete from head to toes! Now it's your verdict, dying to know whether you love it or hate it! Fantastiskas derinukas, grazuole!!!! :) Visiskai isimylejau!